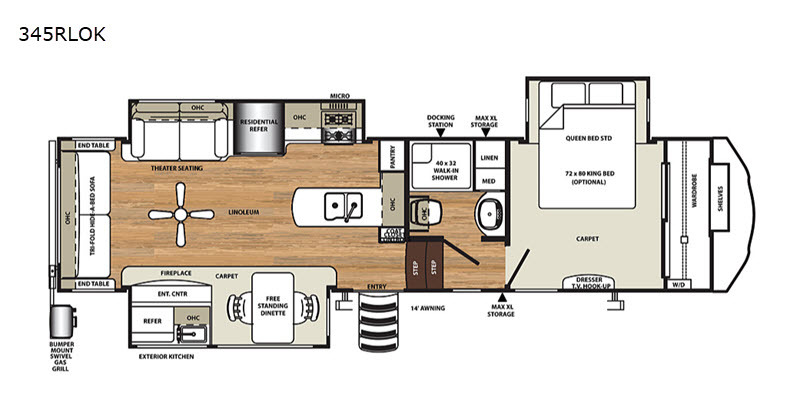 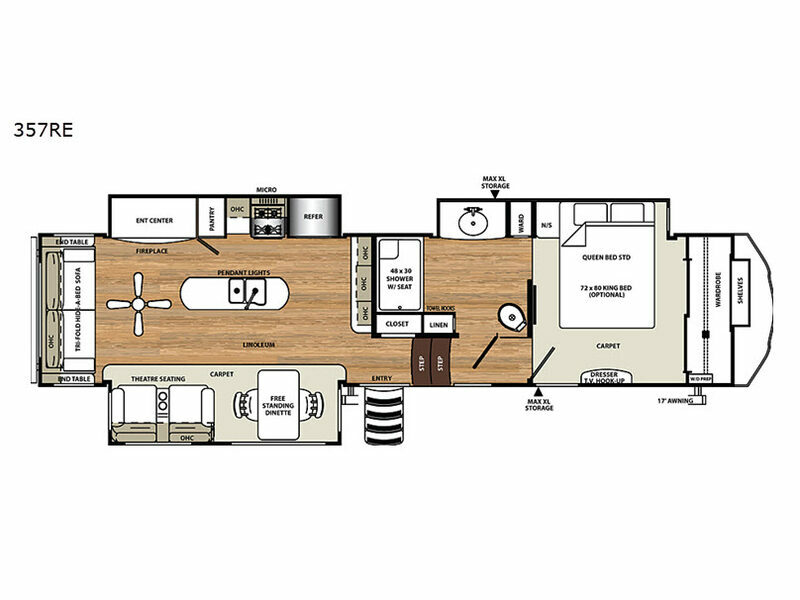 The Forest River Sandpiper fifth wheel is designed to give you residential comfort while you are away from home on adventures. 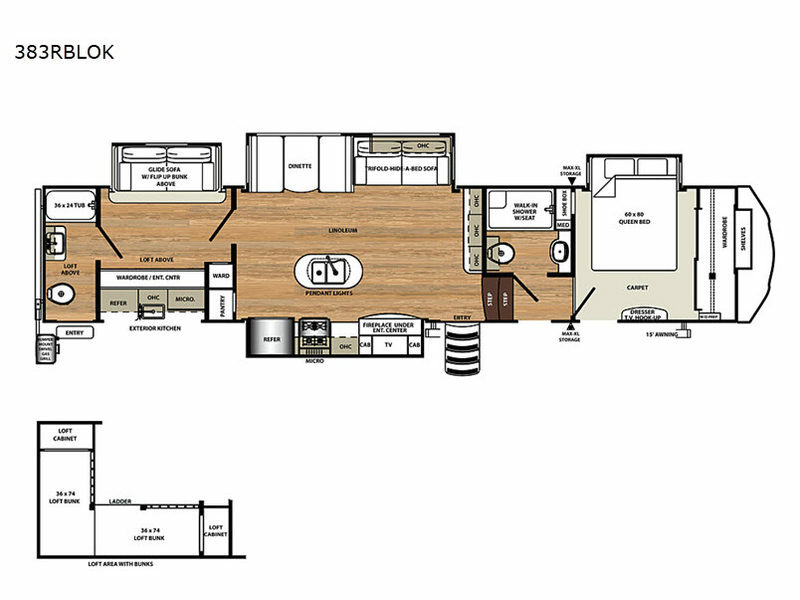 From the solidly built construction of the Sandpiper with its welded aluminum-framed, vacuum-bonded, laminated superstructure and cambered powder-coated frame, to the elegantly styled interior features, such as the stainless steel appliances, residential countertops, and Beauflor rustic wood plank linoleum, you will enjoy all of the many exceptional and unique details that make the Sandpiper feel like home! 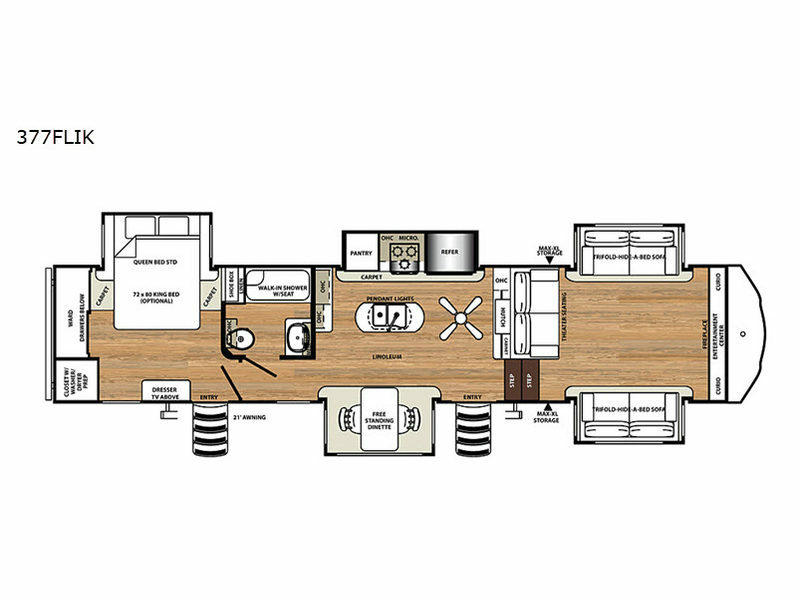 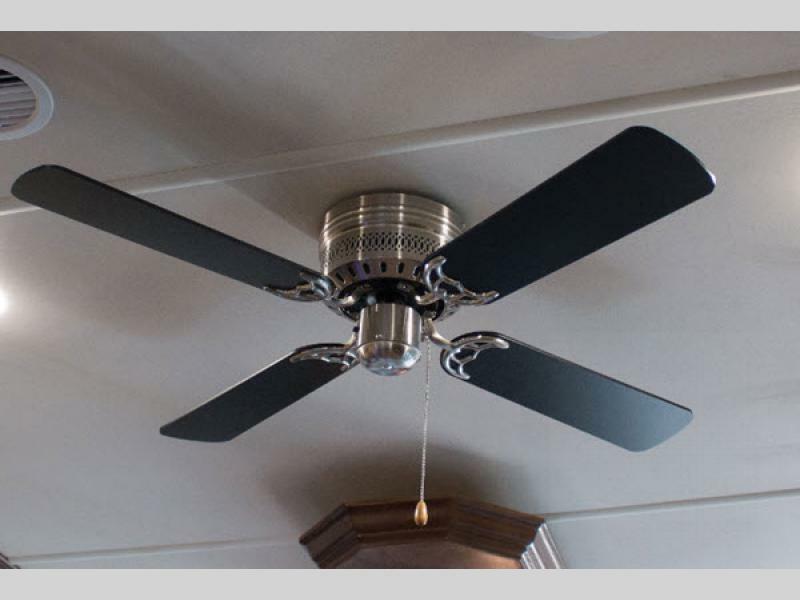 Be the envy of each of your neighbors with a professional and elegant Sandpiper fifth wheel from Forest River!